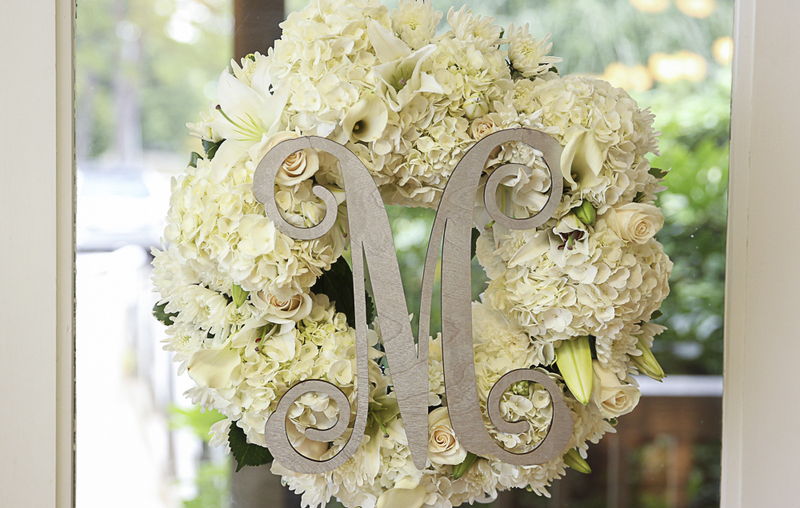 Carrie and Sean will be celebrating their 1st wedding anniversary tomorrow! They were married on Saturday, May 14, 2011 at Pine Island Club on Lake Murray. As you might remember from my previous post Our Wedding – this is also where our wedding was held 13 years ago. 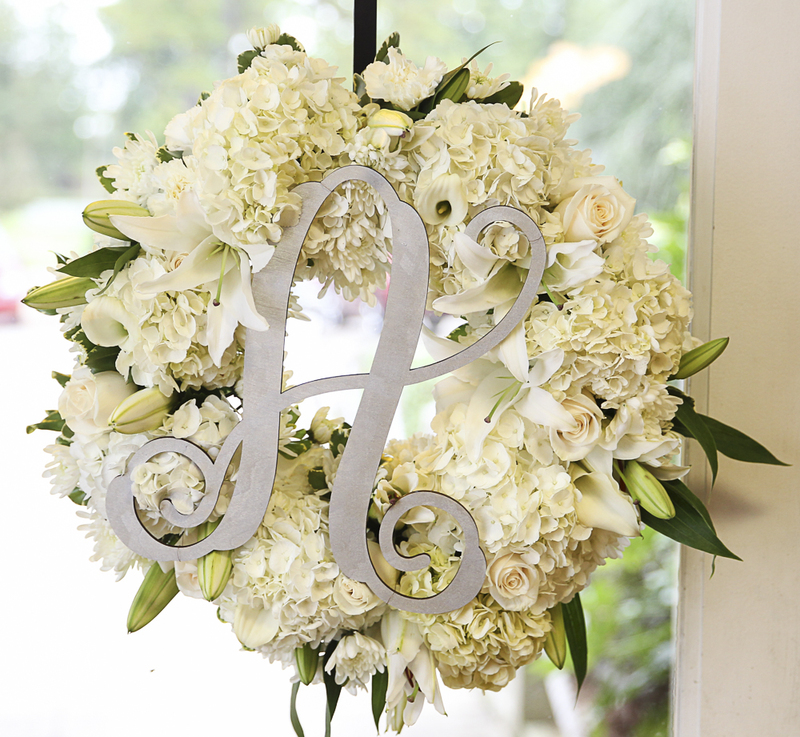 We were happy to be part of Carrie and Sean’s special day last year and we thought we would share some of the floral details with you! 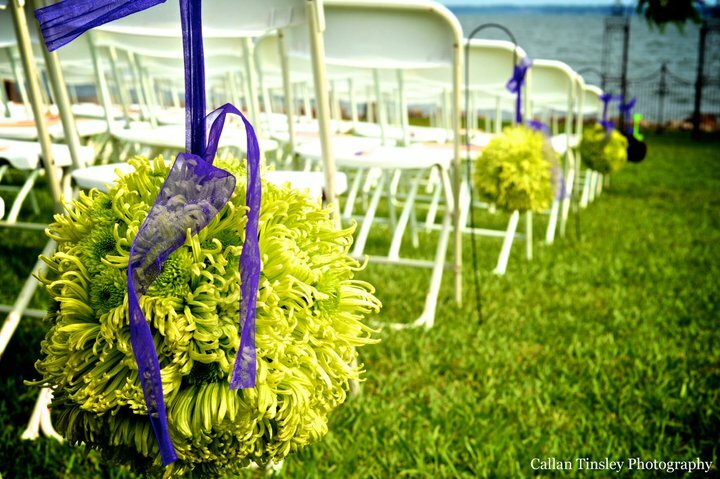 Carrie chose a beautiful purple color scheme of purple and lime green for her wedding. 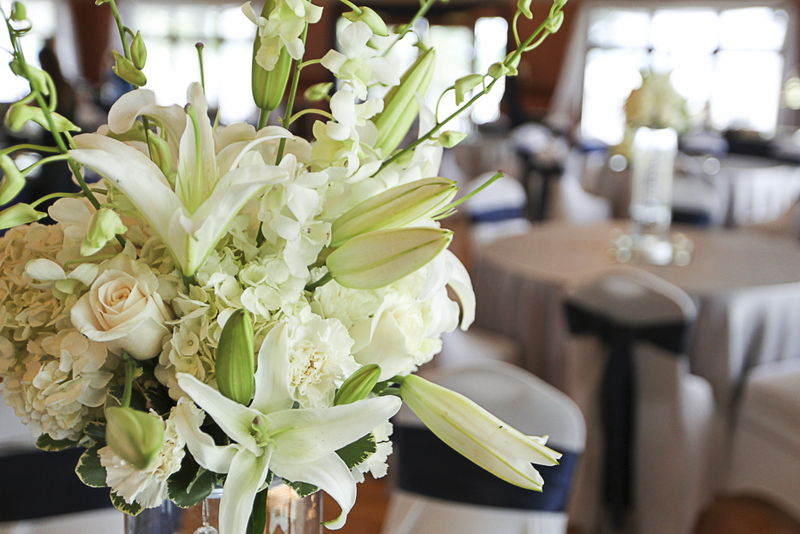 The ceremony was held lakeside and the reception was inside the clubhouse which has beautiful views of the lake. 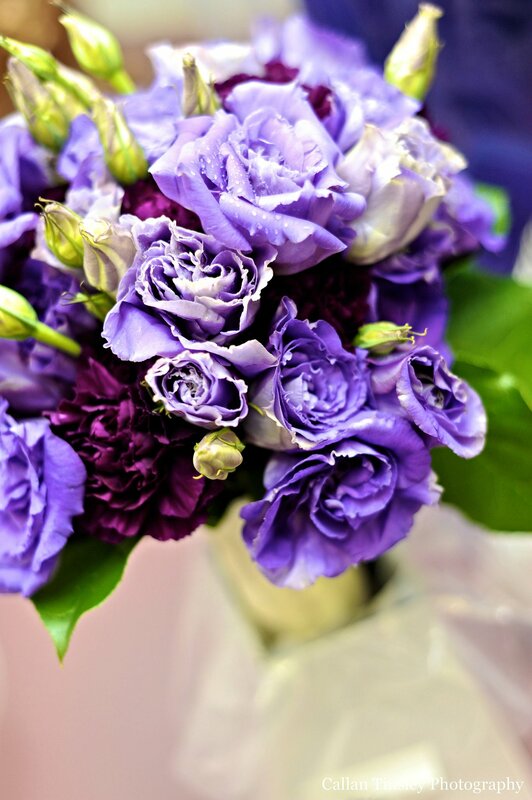 Carrie’s bouquet was made with purple lisianthus and purple carnations. 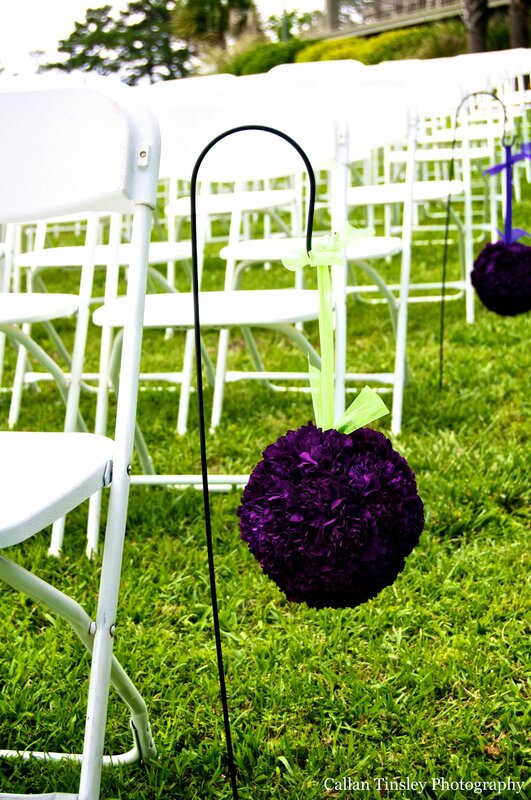 For the aisle we made floral pomander balls in alternating colors using purple carnations and green fugi mums and attached them to shepherds hooks along the aisle. 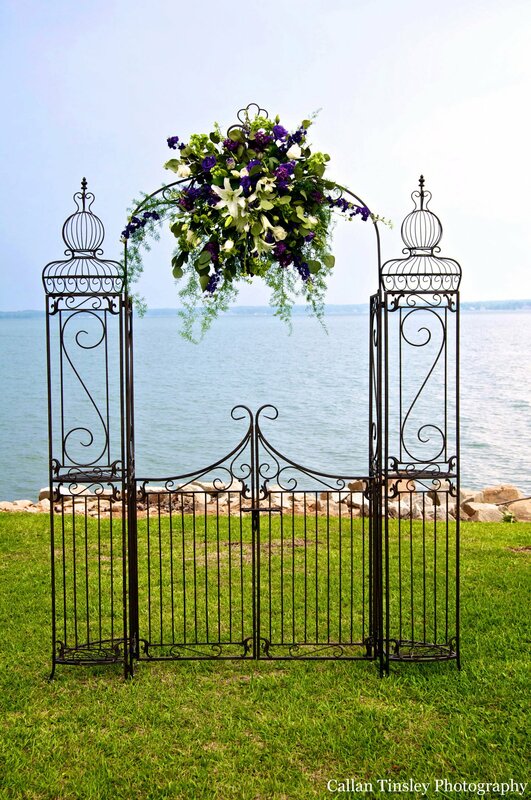 They had a beautiful arch set up for the ceremony and we attached a large swag in shades of purple, green and white using roses, lilies, lisianthus, green button mums, larkpsur and greenery. The arch and lake sure made for a beautiful back-drop! 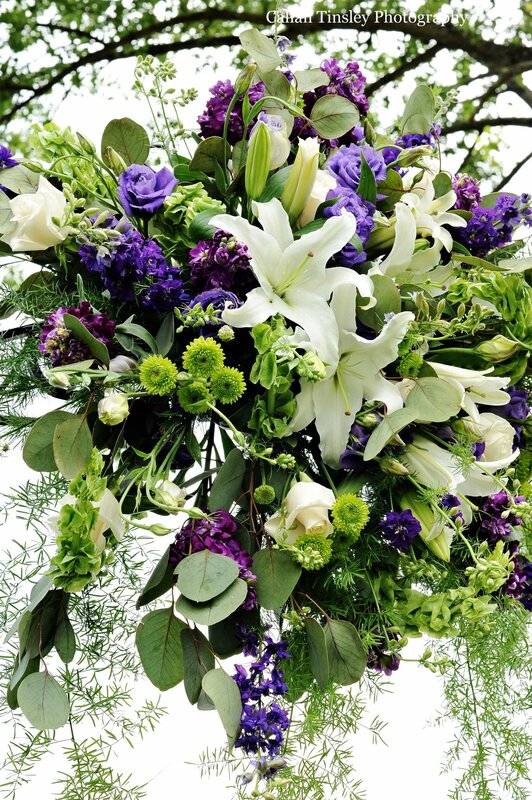 The Mothers corsages were made with purple lisianthus and green button mums and the grandmothers were made with white roses and green button mums. 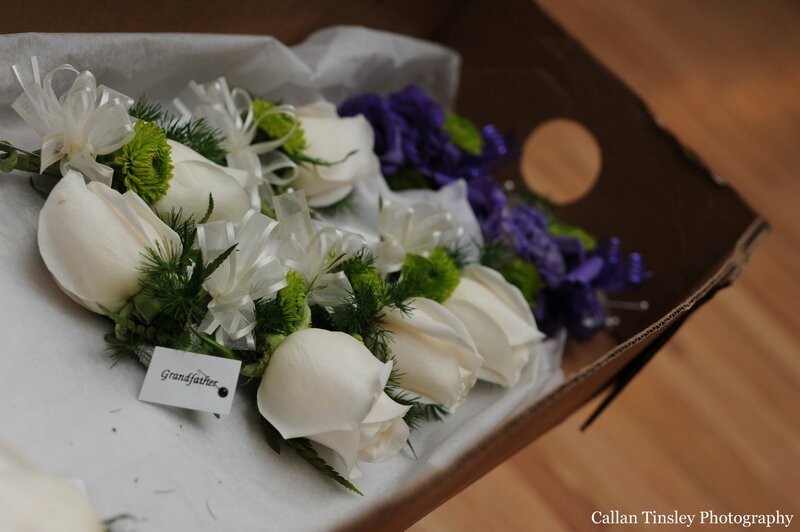 All of the boutonnieres were made with white roses. 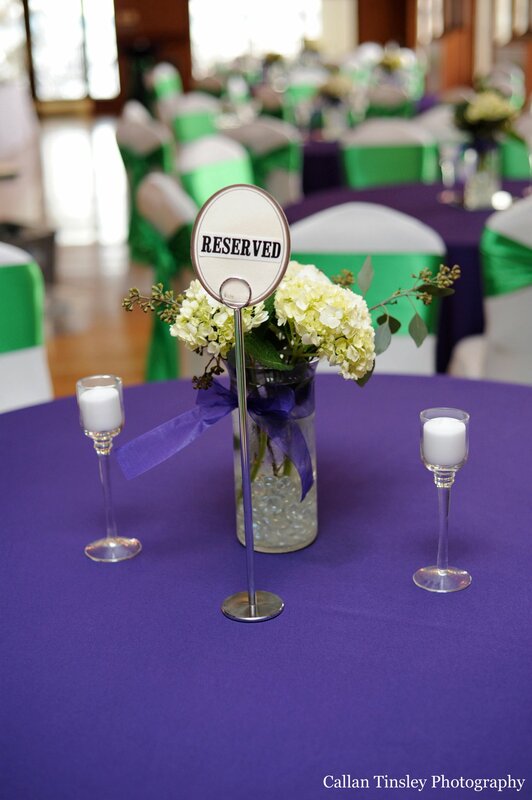 For the reception decorations we made the guest tables centerpieces with white hydrangea and greenery. 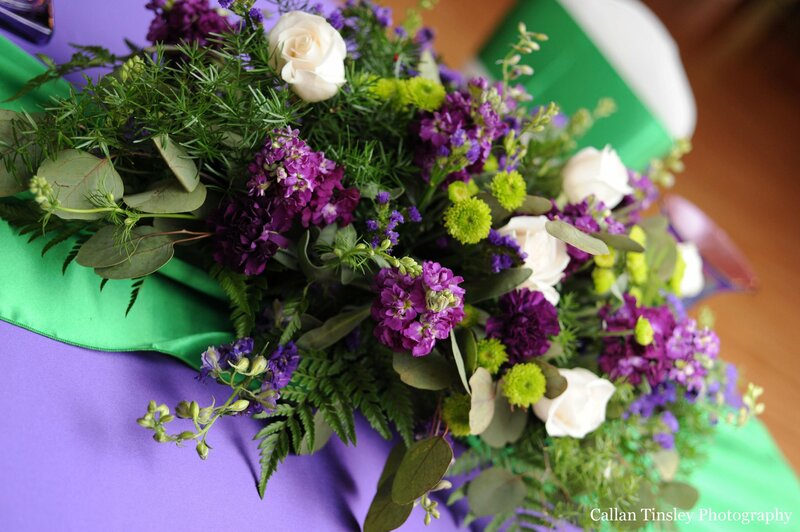 We also made a head table centerpiece as well as a large food table arrangement in shades of purple and green using lisianthus, larkspur, stock, bells of ireland and greenery. 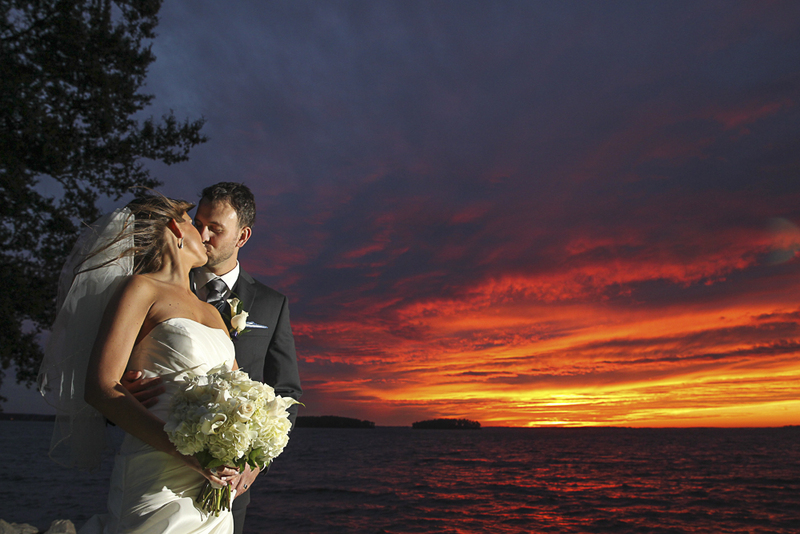 Mary with Callan Tinsley Photography was their photographer and she shared some great photos with us (see below)! 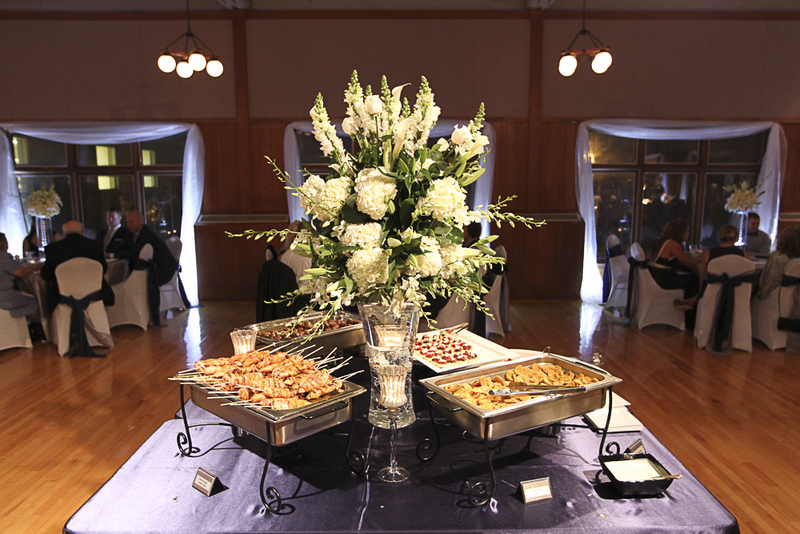 To see some other photos we took, click here.